Donald Trump: You can’t live with him, and you can’t have a live telecast without joking about him. 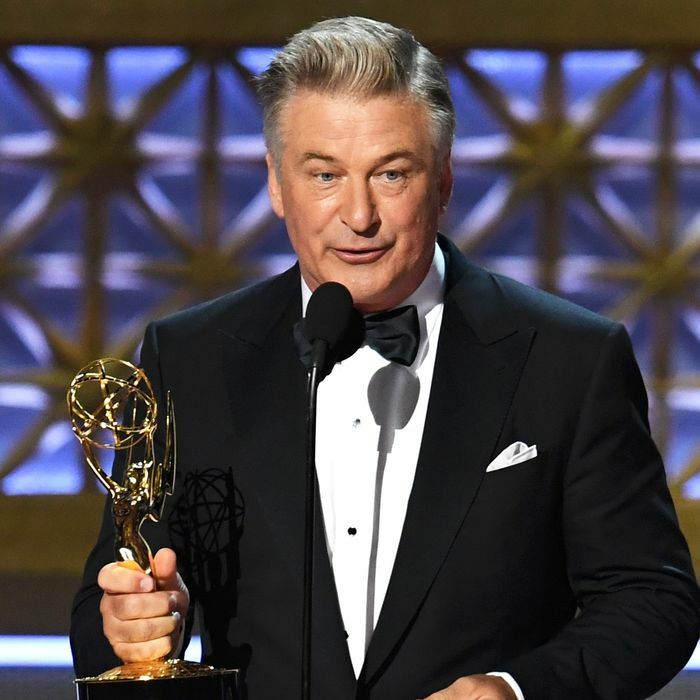 With Stephen Colbert at the helm for the 2017 Emmy Awards, it was only natural that the late-night host would acknowledge Trump in the cold open, and then in his opening monologue. “If we’re honest with ourselves — and as artists, I think we have to be honest with ourselves — we know that the biggest TV star of the last year is Donald Trump,” Colbert said. “And however you feel about the president, and you do feel about the president, you can’t deny that every show was influenced by Donald Trump in some way.” But it wasn’t all media-studies analysis: There were insults! Shade! And plenty of fodder for Donald Trump to tweet about Monday morning. • Veep showrunner David Mandel also thanked “the Trump White House” in his acceptance speech for Best Comedy Series.